New York Giants unrestricted free agent cornerback Prince Amukamara has signed a 1-year contract with the Jacksonville Jaguars. Financial terms of the deal are not yet known. The 26-year old Amukamara was drafted in the 1st round of the 2011 NFL Draft by the Giants. In his five seasons with the team, he has stayed healthy for a full 16-game schedule just once (2013). He missed most of his rookie season with a broken foot, battled high ankle sprain and hamstring injuries in 2012, and missed half of the 2014 season with a torn biceps muscle. Amukamara was off to a strong start in 2015 until he tore his pectoral muscle in Week 5. He missed the next five games, and when he returned, Amukamara did not play as effectively. He played in 11 games with 10 starts, and finished the season with 63 tackles, 10 pass defenses, 1 interception, and 1 forced fumble. 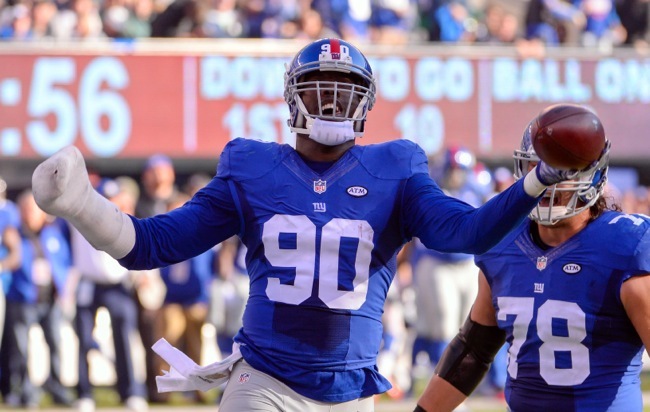 New York Giants unrestricted free agent defensive end Robert Ayers has signed with the Tampa Bay Buccaneers. The contract is reportedly a 3-year, $21 million deal that includes $10.5 million in guaranteed money. The 30-year old Ayers was originally drafted in the 1st round of the 2009 NFL by the Broncos. He signed with the Giants as a free agent in April 2014. In his first year with the Giants in 2014, Ayers started 1-of-12 games before being placed on Injured Reserve with a torn pectoral muscle. Despite missing four games early in the season with a hamstring injury, Ayers had his best NFL season in 2015, starting 11-of-12 games and finishing with career highs in tackles (41), sacks (9.5), pass defenses (4), and forced fumbles (2). Multiple media sources report unrestricted free agent left tackle Russell Okung (Seattle Seahawks) visited the New York Giants on Friday, but left without a contract. He will next meet with the Detroit Lions on Saturday. The Seahawks and 49ers are also said to be interested in his services. Okung is representing himself in contract negotiations. The 28-year old Okung was originally drafted in the 1st round (6th overall pick) of the 2010 NFL Draft. Okung needed left shoulder surgery to repair a dislocation suffered in the 2015 playoffs and reportedly is still recovering from that procedure. The NFL Network is reporting that the New York Giants are one of three teams “in the mix” for the services of unrestricted free agent safety Chris Conte (Tampa Bay Buccaneers). The other two teams are the Buccaneers and Saints. The 27-year old Conte was originally drafted in the 3rd round of the 2011 NFL Draft by the Chicago Bears. He signed with the Buccaneers in March 2015. In his five NFL seasons, Conte has played in 71 regular-season games with 65 starts, including 13 starts in 2015 when he accrued 79 tackles, six pass defenses, two interceptions, and two forced fumbles. The New York Daily News is reporting that the New York Giants have expressed interest in unrestricted free agent safety Reggie Nelson (Cincinnati Bengals). However, the paper also says the Giants do not consider safety a “high priority”. The 32-year old Nelson was originally drafted in the 1st round of the 2007 NFL Draft by the Jacksonville Jaguars. Since 2010, he has played for the Bengals. In 2015, Nelson made the Pro Bowl after starting all 16 regular-season games and finishing with 77 tackles, 14 pass defenses, and eight interceptions. FOXSports out of Indianapolis is reporting that the New York Giants have expressed interest in unrestricted free agent linebacker Jerrell Freeman (Indianapolis Colts). Freeman is meeting with the Chicago Bears on Friday and the Atlanta Falcons are also said to be interested. The 29-year old Freeman was originally signed as an undrafted rookie free agent by the Tennessee Titans after the 2008 NFL Draft but he did not make the team. Freeman played for the CFL’s Saskatchewan Roughriders in 2009-2011 before joining the Colts in 2012. In the last four seasons, Freeman has started all 57 regular-season games he has played in with Indianapolis, including 13 in 2015, when his finished the season with 112 tackles, three sacks, and one interception. 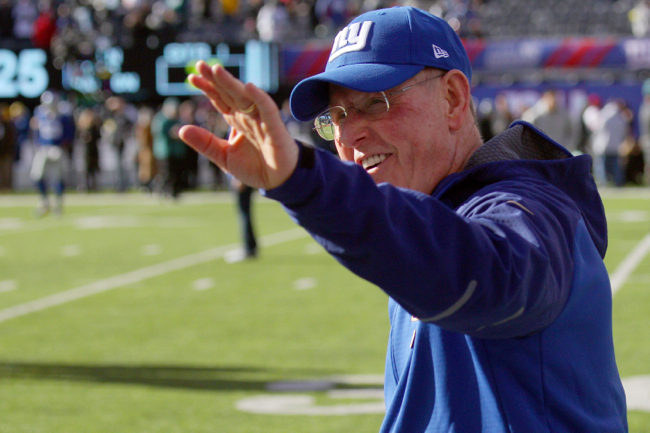 As expected, the New York Giants were not awarded any compensatory draft picks for 2015 free agent losses. Compensatory picks are awarded to teams that have lost more qualifying free agents than they gained the previous year in free agency. 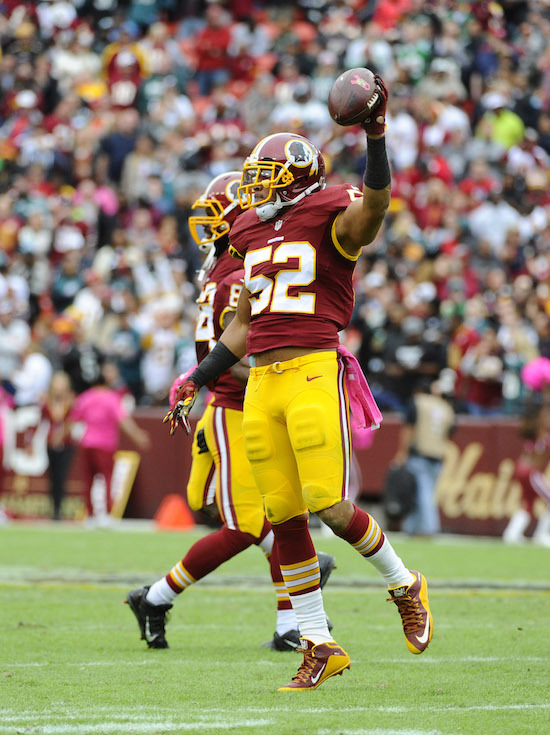 Multiple media sources are reporting that the New York Giants have signed unrestricted free agent middle linebacker Keenan Robinson (Washington Redskins). The contract is reportedly a 1-year deal worth up to $3.5 million. The 26-year old Robinson was originally drafted in the 4th round of the 2012 NFL Draft by the Washington Redskins. He has been an injury-plagued player who has missed time in 2012 (four games with right pectoral tear), 2013 (entire season with left pectoral tear), 2014 (three games with a knee injury), and 2015 (four games with shoulder and injuries). 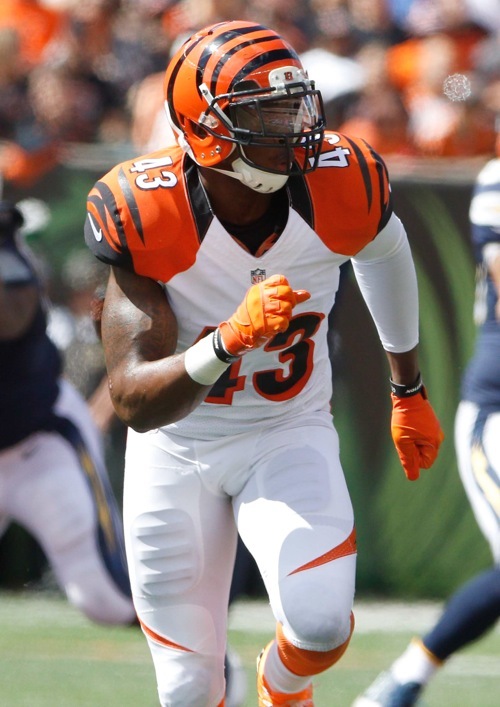 Robinson’s best season was in 2014 when he started all 13 games he played in and finished the year with 109 tackles, 1.5 sacks, and one interception. He played in 12 games with eight starts in 2015 and finished with 63 tackles and one interception. Robinson has a nice combination of overall athleticism and size. Versatile, he can play inside and outside linebacker. Robinson is an instinctive, productive player who plays with a reckless style. He is more of a run-and-hit linebacker than stout run defender at the point-of-attack. He needs to improve his overall tackling consistency. Robinson is solid in pass coverage. New York Giants unrestricted free agents defensive end Robert Ayers and cornerback Prince Amukamara are visiting the Jacksonville Jaguars. The New York Giants had reportedly expressed interest in unrestricted free agent cornerback Sean Smith (Kansas City Chiefs), but he has signed with the Oakland Raiders. Gary Jeter, who played defensive end for the New York Giants from 1977 to 1982, has passed away at the age of 61. Jeter was originally drafted in the 1st round of the 1977 draft by the Giants. He finished his playing career with the Los Angeles Rams (1983-1988) and New England Patriots (1989). 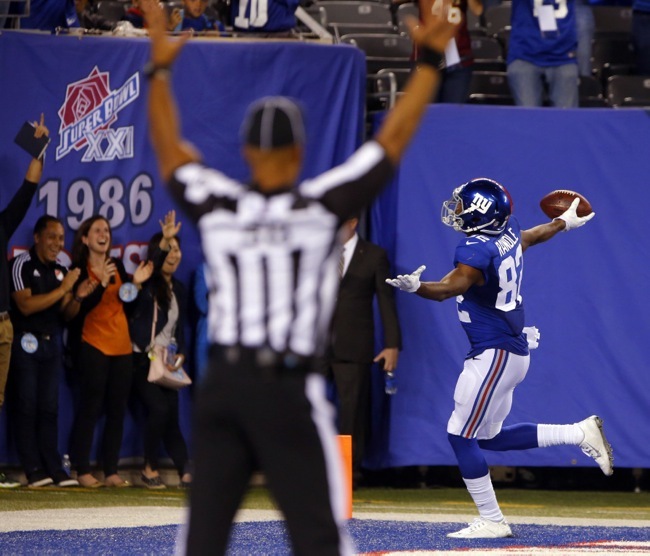 Giants spent $105.5M in guaranteed money on Vernon, Harrison, Jenkins. Team spent combined $85.1M guaranteed on free agents past 5 seasons. The New York Giants would like to re-sign unrestricted free agent defensive end Jason Pierre-Paul to a 1-year, “prove it” contract. If Pierre-Paul can get a longer term deal on the open market, he is likely gone. Pierre-Paul’s camp believes he will be offered $10 million per year on the open market. 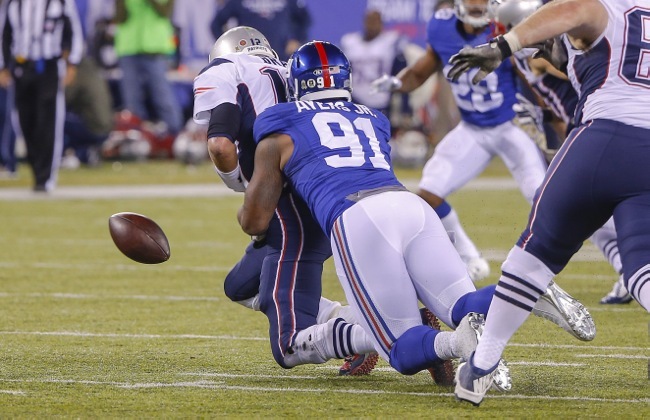 There may be a strong market for unrestricted free agent defensive end Robert Ayers, who the Giants would also like to re-sign. 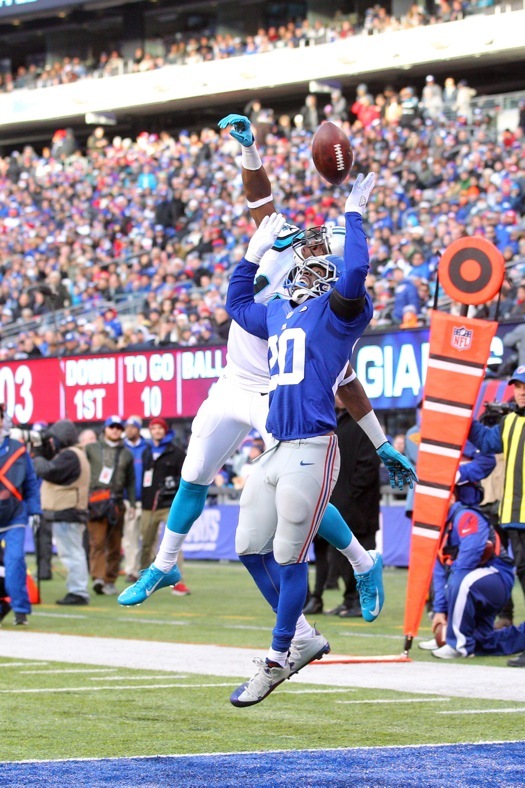 There is not much noise about unrestricted free agent cornerback Prince Amukamara. The Giants want Amukamara to gauge his value on an open market that may have a number of quality cornerbacks available. The Giants are first focusing on addressing their front seven on defense in free agency. The Giants are going to let unrestricted free agent place kicker Josh Brown test the market. They would like to re-sign Brown, but if he can get a multi-year deal from another team, they will apparently let him go. The New York Giants will interview Jacksonville Jaguars Assistant Head Coach/Offensive Line Coach Doug Marrone on Saturday. In recent years, Marrone also served as head coach of the Syracuse Orange (2009-2012) and Buffalo Bills (2013-2014). 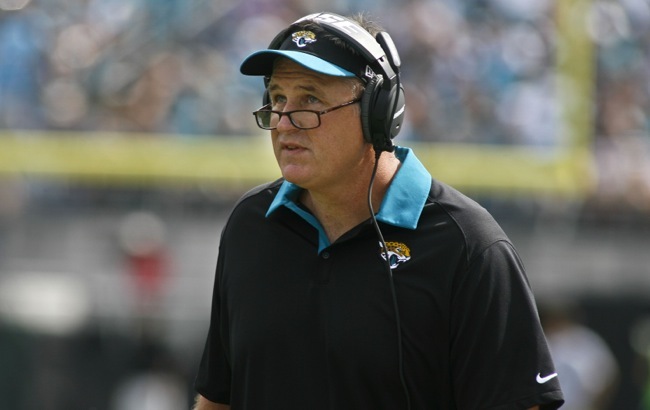 The 51-year old Marrone has received interest from the Eagles, Browns, and Dolphins. 37-year old Chicago Bears Offensive Coordinator Adam Gase, who interviewed on Friday. 41-year old Carolina Panthers Defensive Coordinator Sean McDermott. Teams can interview McDermott this week but not next week because of the Panthers playoff schedule. New York Giants wide receiver Odell Beckham has been named second-team All-Pro by The Associated Press. In 2015, Beckham started 15 games and finished the season with 96 catches for 1,450 yards and 13 touchdowns. The AP All-Pro team is selected by a national panel of 50 media members. 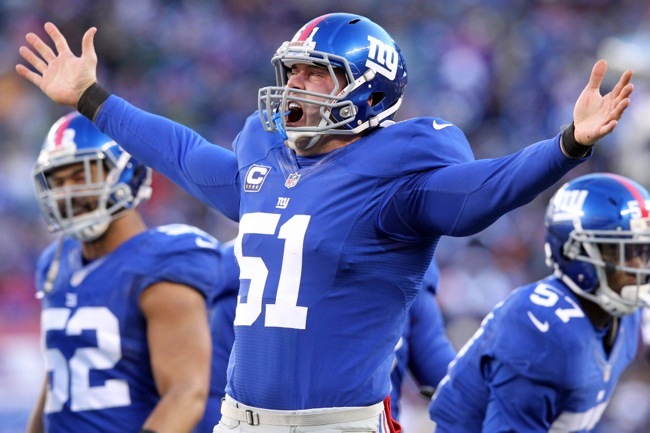 Other Giants to receive votes included center Weston Richburg (1) and kick returner Dwayne Harris (4). Does Jerry Reese need to win now? Said Mara:"I want to see a roster next year at this time that looks a lot better than the one we just had"